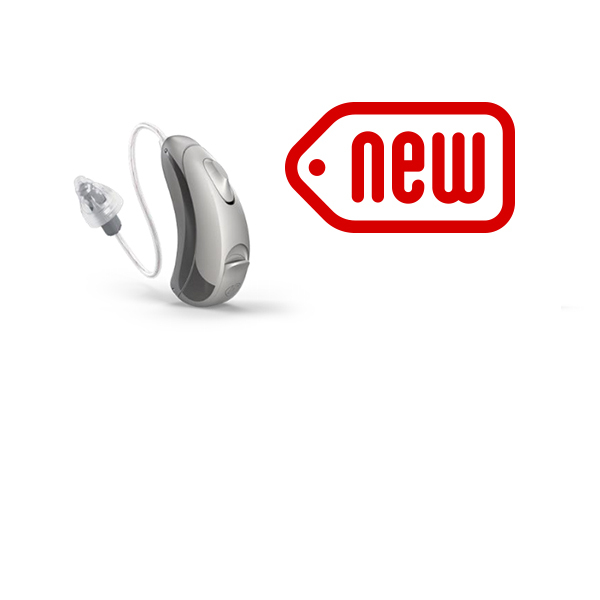 Signia / Siemens Pure Charge&Go Nx | Hearing aid now available! Signia Pure Charge&Go NX is here! Home > Blog > Signia Pure Charge&Go NX is here! Signia / Siemens launch New Charge&Go Nx Bluetooth hearing aid! Finally, it’s here and to say we are excited at EarDeals is an understatement! The all-new Signia Pure Nx Charge&Go hearing aid! Boasting a plethora of features, this hearing aid is up there in the market as a must consider for any new or existing hearing aid wearers! So where do we start? Well as a basis this hearing aid comes with a high-performance rechargeable, high capacity lithium-ion power cell or battery noted by Signia as having the longest battery life on the market. The Signia Pure Charge&Go is a longer lasting rechargeable hearing aid, especially when streaming music or phone calls! The device is 100% cordless we love this feature, for those with dexterity issues or who simply don’t want to worry about replacing batteries through the life of the hearing aid. What else? Well did we mention you can now stream phone calls from your iPhone with Bluetooth! That’s right when you have a call ring through the hearing aids at the click of a button you can answer and reject calls. With the aid of the Streamline Mic, the Signia Pure Charge&Go Nx will also stream calls from all other smartphone brands with Bluetooth. When it comes to music, the Signia Pure Charge&Go Nx has that covered as well. Link directly through Bluetooth to your hearing aids and your Signia Pure Charge&Go Nx turns into a portable audio system with you where ever you go! For all other smartphones with the aid of the StreamLine Mic you can access the same versatile audio experience in surround sound quality. With the addition of the StreamLine TV, your TV will link directly to your hearing aids for a complete surround sound experience wirelessly. You will no longer be hassled by family and friends telling you to turn down your TV as you listen in comfort at your own hearing level and them at theirs. When it comes to control, Signia has provided great versatility for Signia Pure Charge&Go Nx. With the automatic adjustment technology within the Signia Pure Charge&Go Nx you will be in absolute comfort all year round. However, if you would like more control you have a further two options. The first is the myControl App that is downloaded to your smartphone. The myControl App provides you with extended functionality with volume, base, treble and channel adjustments. The Hearing aids also support Telecare capabilities by logging your hearing experience through the smartphone app in real time for your hearing specialist to analyse your ratings and reviews. 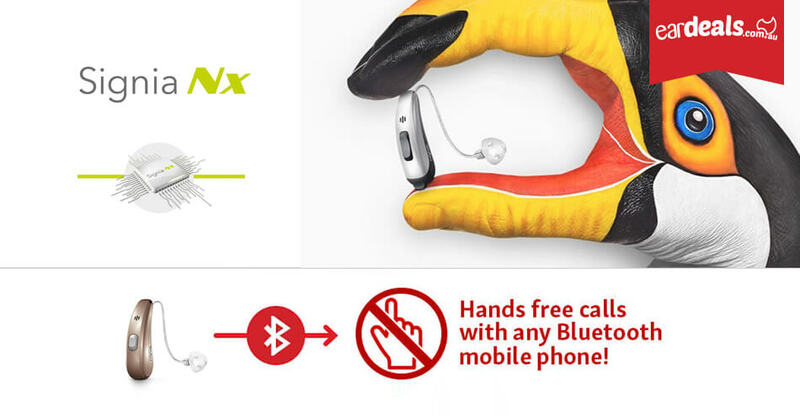 The Pure Charge&Go Nx provides the wearer with a number of technological features programmed onto the hearing aids chip. The most influential and unique features is the Own Voice Processing (OVP). By recording a process at the start of your fitting with your hearing specialist, the OVP reduces your own voice while the hearing aids are in use. This essentially provides the wearer with an optimal user experience. Additional Pure Charge&Go Nx features include a speech in noise system designed to provide greater clarity in difficult environments. Conversations while moving with the 3D Classifier which automatically adjusts the sound output based on the motion data of the wearer and the position of their head. If you suffer from the deliberating effects of Tinnitus, the Signia Pure Charge&Go Nx provides the wearer with some built-in tinnitus therapy options. With the help of your hearing specialist adjustments can be made to best reduce the effects of tinnitus day to day. Please speak with your hearing specialist at the time of the appointment regarding this particular feature. The Signia Pure Charge&Go Nx is available in 11 colours with a variety of natural skin and hair tones. Despite its small size and being hidden almost invisibly behind the ear the colours provide an extra element of discreteness. To find out more and experience the difference that the Signia Pure Charge&Go Nx can deliver to your hearing loss call EarDeals today to book a 100% free hearing consultation and comprehensive hearing test on 1300 010 064 or (02) 9133 7899 and start a 100% free 30-day hearing aid trial. Hansaton Sound SHD S13 Stream – New Bluetooth!